Recommended by Kirkus Reviews* as “just right for a preschool audience. 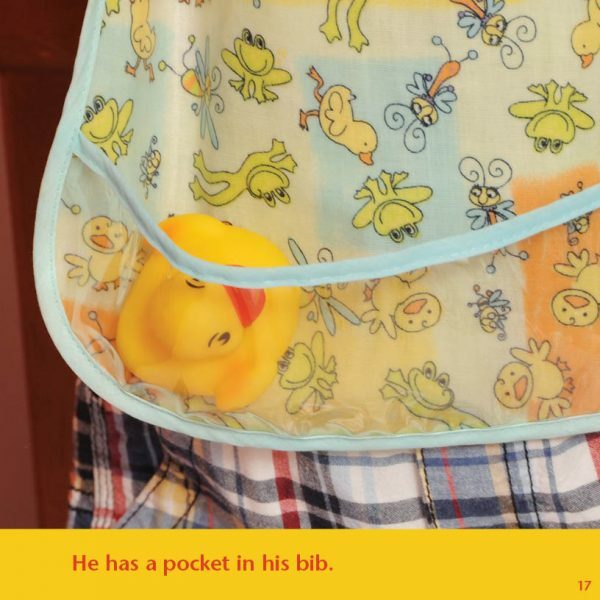 A wonderfully photographed story and activity book,” Pockets is a suggested purchase for home school families, early child care centers, preschool classrooms, and public libraries. 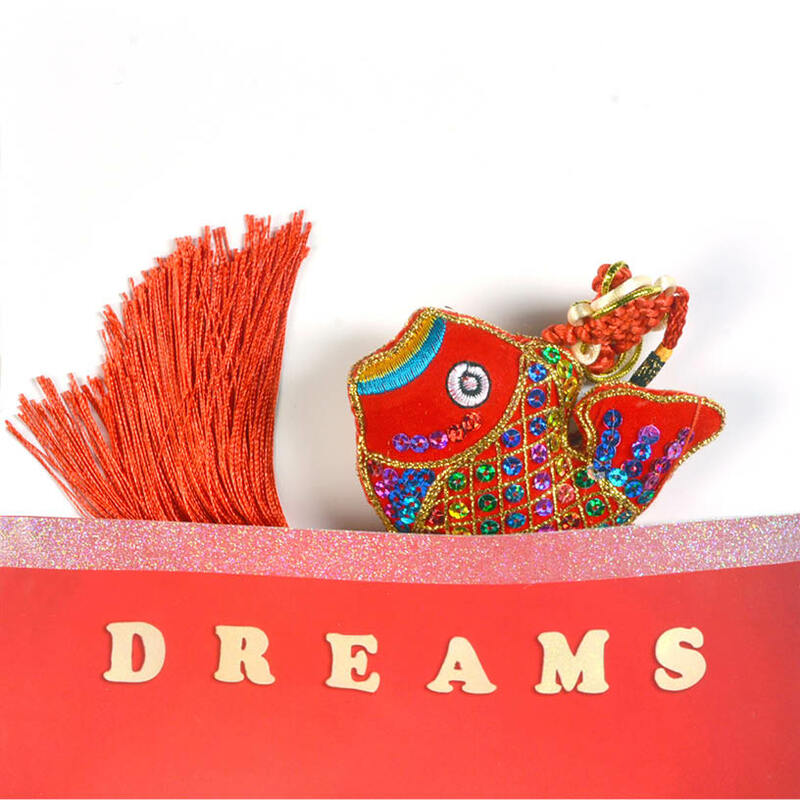 This book makes a beautiful gift for children, teachers and babysitters, with full color lay-flat laminated pages and two glitter-tape reinforced pockets, one to hold prayers and one to collect dreams. CLICK ON THE BOOK COVER ABOVE TO LOOK AT PAGES INSIDE THE BOOK. In stunning photographs, a three-year-old girl tells what neighbors and family keep in their pockets. 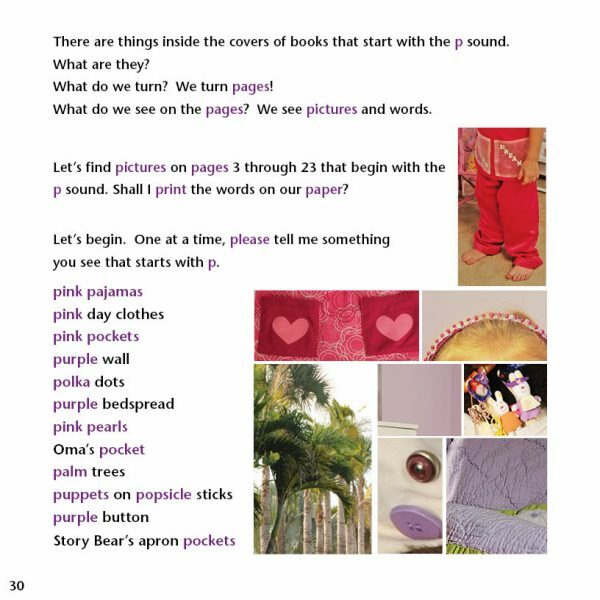 The narrative rhyming poem is followed by five free or inexpensive guided activities for adults and older children to use with preschool children, individually and in groups. 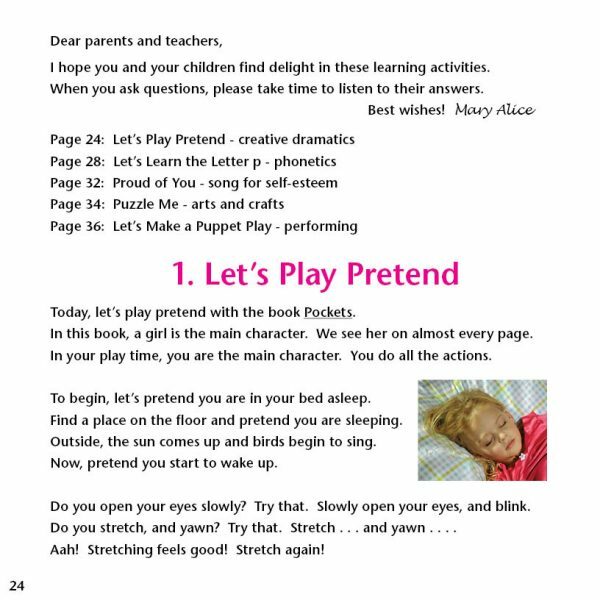 Let’s Play Pretend is an action-packed word-by-word creative dramatics walk through the neighborhood which includes stepping, hopping, galloping, tiptoeing, and crawling. Children learn to clap “the beat” to the movement words. 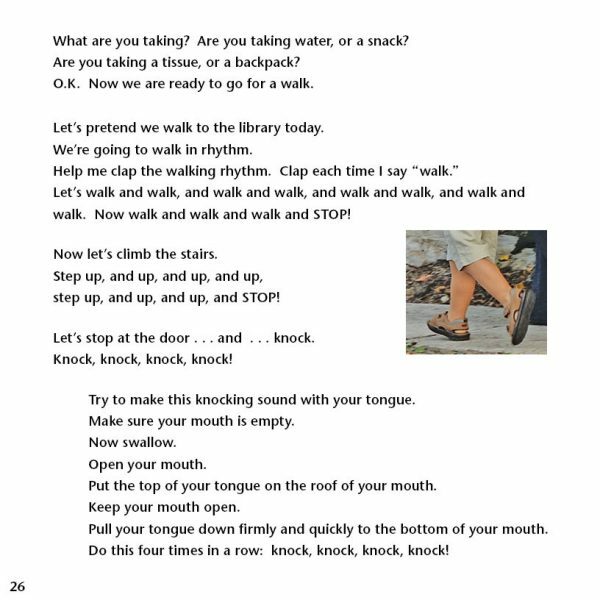 This activity also includes instructions for making a “knock-knock-knock-knock” sound with the tongue. 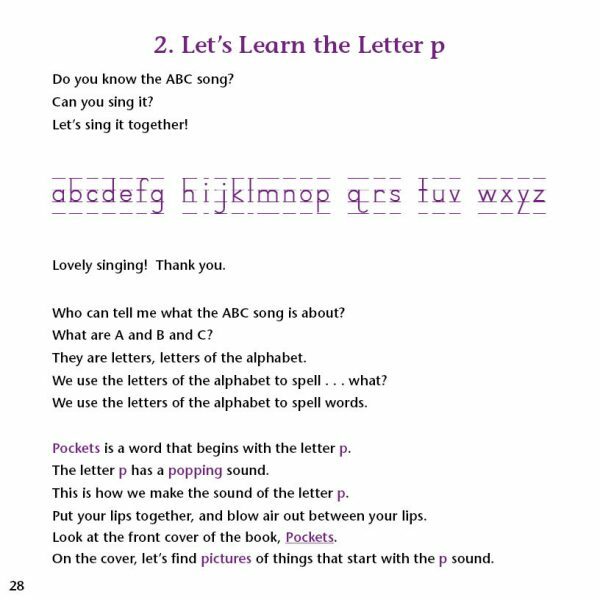 Let’s Learn the Letter p introduces the alphabet and the sound of the letter p. The adult asks the children to find and name pictures in the book beginning with the letter p. Writing down their answers is a recommended activity for the caregiver. The book provides a complete list of “p” words included. Puzzle Me guides adults to lead children in creating their own paper puzzles. Let’s Make A Puppet Play gives the caregiver step-by-step instructions on how to present a finger puppet play, and then how to teach children to create and perform their own finger puppet plays. 2011 winner of the Laura Ingalls Wilder Award for writing and/or illustrating over 200 books, making a lasting contribution to literature for children. 5 out of 5	You must know how much joy you are sharing with so many little ones and their families. 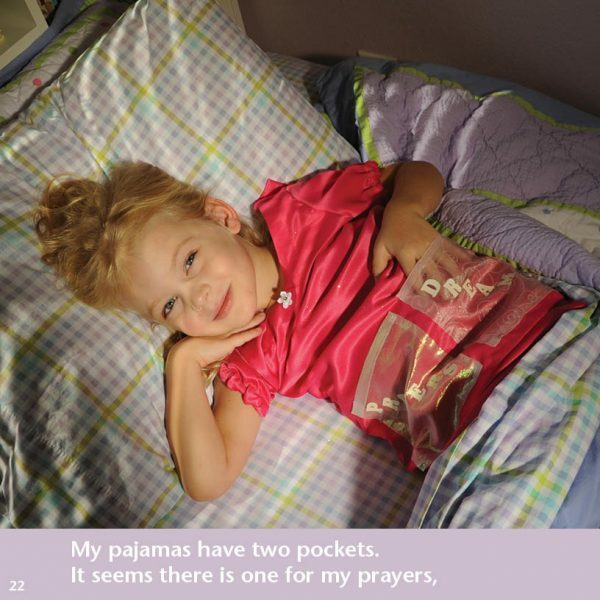 4 out of 5	A wonderfully photographed story and activity book for preschool classrooms. A 3-year-old girl explores what pockets can be used for in this colorfully photographed book full of classroom reading tips. A blonde-haired, blue-eyed, unnamed girl gets ready for the day in a pink and red outfit with pockets. Her Oma, wearing a jacket that also has pockets, arrives to take her to storytime at the library. (She has something silver in her pocket that the girl’s sister takes out, but it’s hard to determine what it is.) 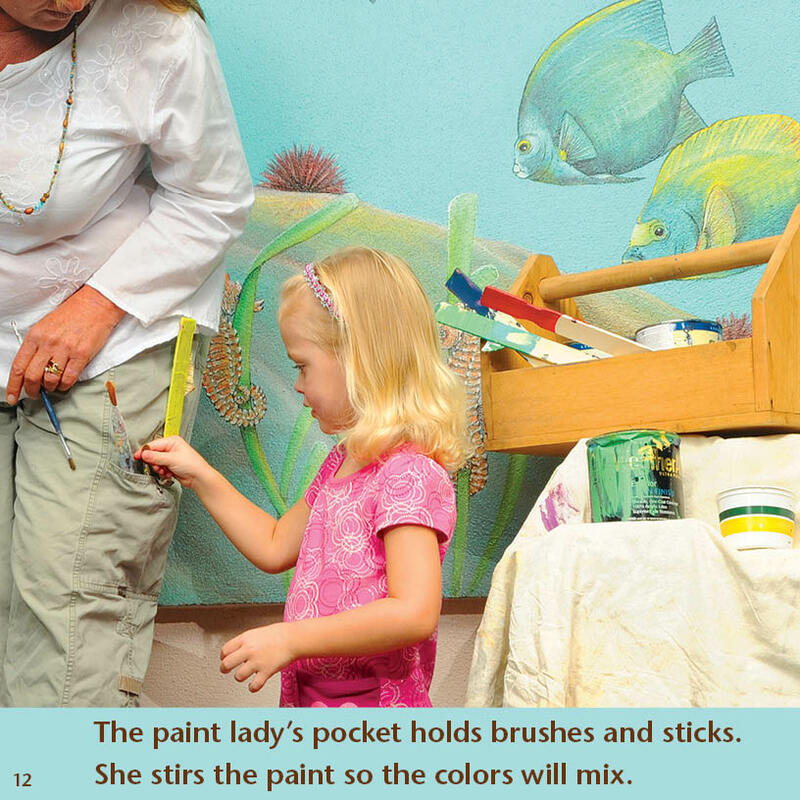 At the library, the girl explores the Story Bear’s pockets and finds art supplies in the paint lady’s pocket. 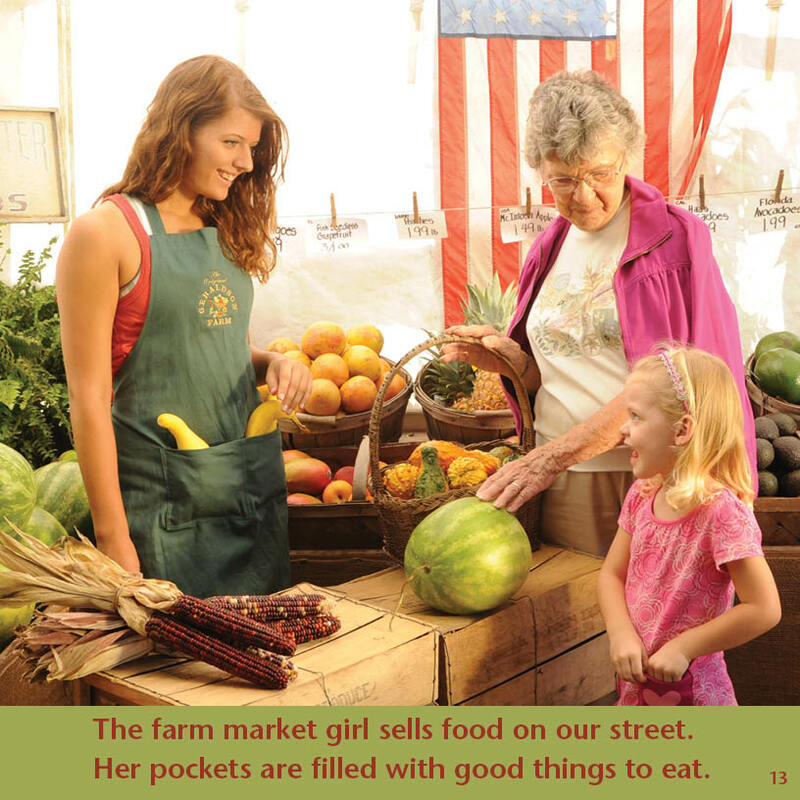 After storytime, Oma takes the girl to the farmers market and stops by the neighbor’s garden, where the girl notices the things her neighbor and the girl at the market keep in their pockets. At home, a baby cousin keeps a duckie in his bib pocket, and the girl’s father has nine pennies (counted by the girl) in his deep pockets. The girl prepares for bed with tooth-brushing and pajamas and shows that her pajamas have two pockets, “one for my prayers, and one for my dreams.” After the story, Deveny offers five different activities that teachers can pair with the book in the classroom: pretend play encouraging the students to imagine themselves in the story; a lesson on the letter P; a song; a project for children to make their own puzzles; and a puppet play. The beautiful color photographs are made with excellent composition to pull in a child’s eye. There’s an abundance of pink, and the cast predominantly looks like the little girl—there’s no real ethnic diversity—so only a small portion of the preschool population will recognize themselves in the images. 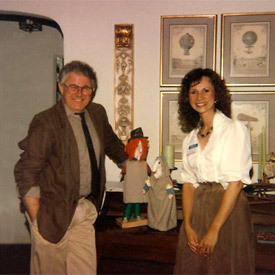 Despite the homogenous community, the girl is friendly looking and approachable, and the activities in the story and in the teacher section are just right for a preschool audience. 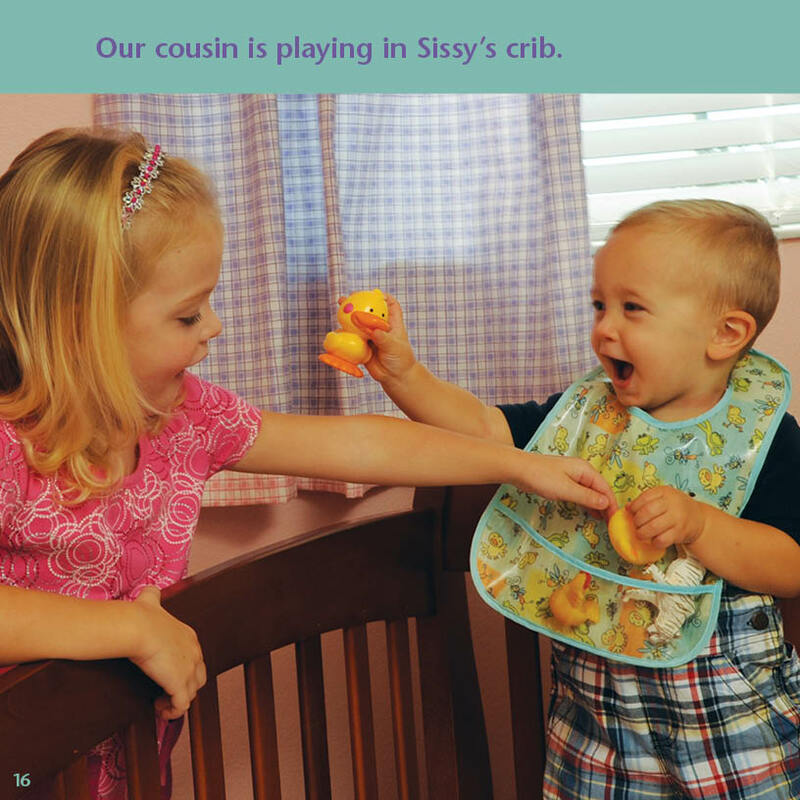 A wonderfully photographed story and activity book for preschool classrooms. 5 out of 5	Tennessee loves this book! I passed on the copy of Pockets to the TECTA (Tennessee Early Child Training Alliance) and Lisa Vincent went crazy over the book! ‘Pockets’ Book Holds Hope For Youngsters. 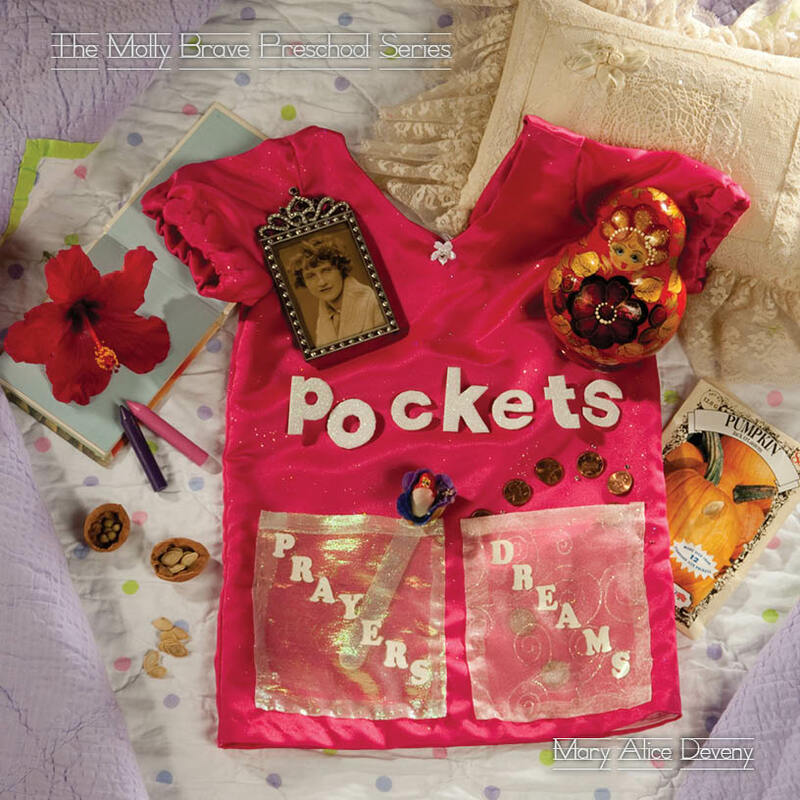 Visually stunning, ‘Pockets’ is a children’s book by Sarasota resident Mary Alice Deveny. The youth librarian, teaching artist and media specialist worked with a local company to embellish her book with its own pockets as well as heavy-duty glossy pages that should hold up to multiple readings. Within its pages are a picture book suitable for pre-schoolers and several games, activities, craft suggestions and lesson plans that should prove useful for parents and educators. In the Let’s Pretend section, for example, Deveny has her young reader pretend to get dressed for the day, from picking out the clothes to be worn to putting the left shoe on the left foot, and so on. A consideration, of course, is what one will put in one’s pockets. This section also includes a pretend visit to the library, a vegetable stand, the neighbor’s garden and eventually back home for a good night’s sleep and sweet dreams. 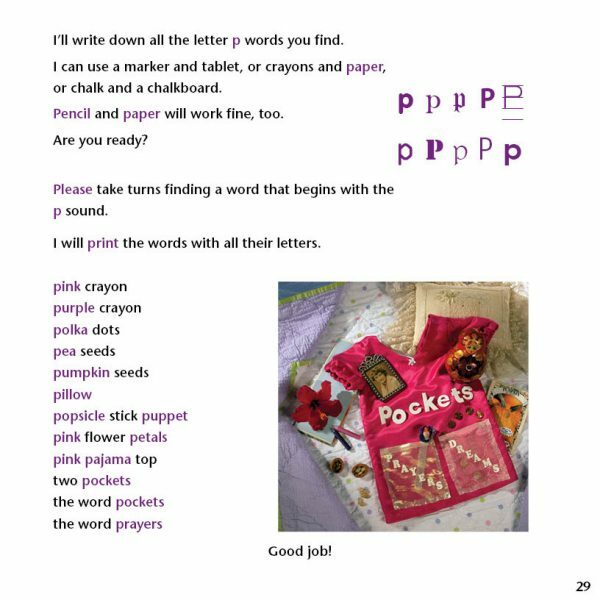 Another learning opportunity is based on the book’s pictures and even its words – especially those words beginning with “P” for pocket. To instill pride, there is a song – “Proud of you.” Instructions for making a puzzle and even a puppet lead up to the book’s last page, which has a pocket for prayers on one side of the page and a pocket for dreams on the last page. Among the charming photos in the book is one featuring a hand-painted rhea egg by Ronald R. McCarty, watercolor artist and Keeper of the Ca’ d’Zan mansion at the John and Mable Ringling Museum of Art in Sarasota. Thanks for the loan of this lovely book. The photos are so sharp they almost seem 3-D. There are lots of ideas for teachers to use in interactions with children. 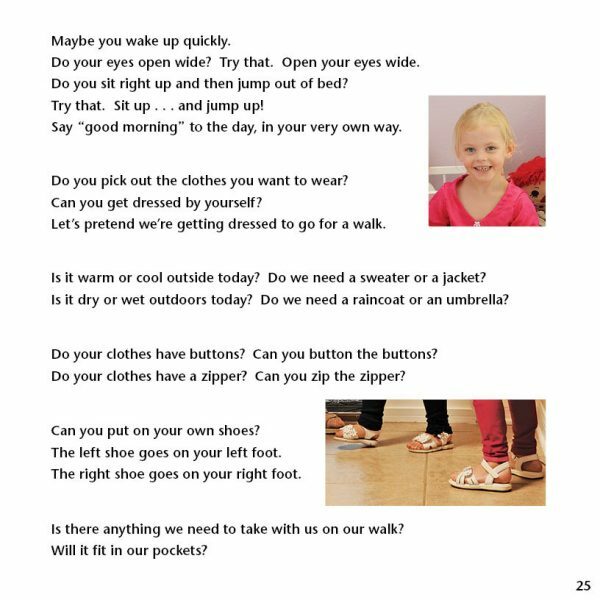 I particularly like the section on phrases and songs to use to encourage children when they learn something new. As the retired Executive Director of River Valley Child Development Services, I recommend Pockets to early childhood teachers and parents of toddlers and preschoolers. Dear Ms. Deveny, Your mother is a treasured friend of my mother, who is a former elementary school teacher. 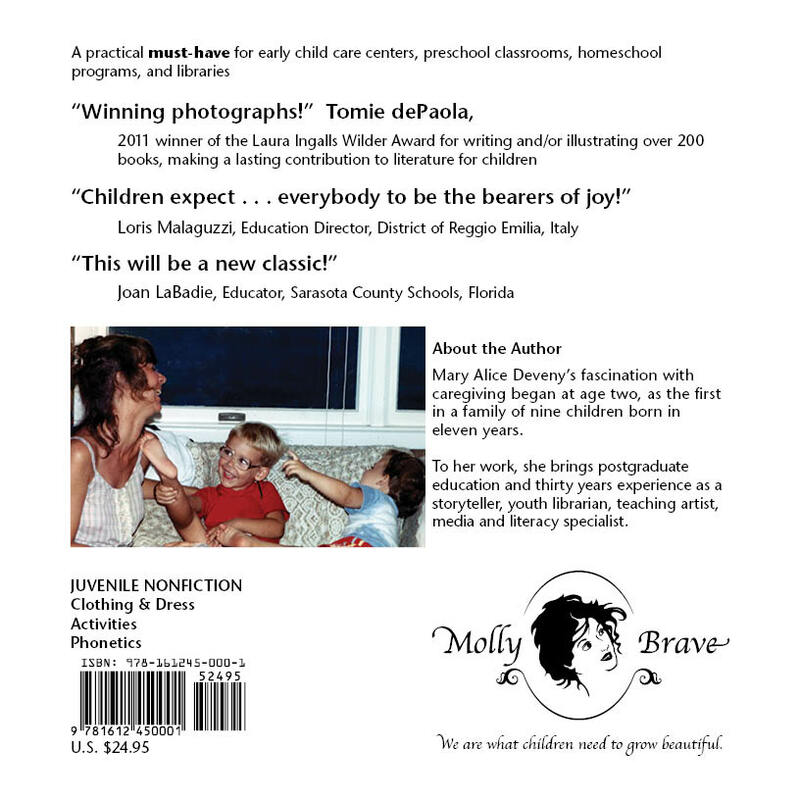 When she saw your book, Pockets, she loved it and requested a copy for each of my children’s families. I have three married children and they each have two children, all under the age of 4 1/2 years. Your book is wonderful. The concept is brilliant, and the execution is flawless. In December my husband and I visited our son’s family in North Carolina. They have two little girls, ages 3 1/2 years and 21 months. Initially, they both happily sat in their mother’s lap and listened as she read your book to them. The older one was intrigued at the time, but when it was completed, she hopped up, distracted by another holiday present. I laid the book on the large ottoman nearby. 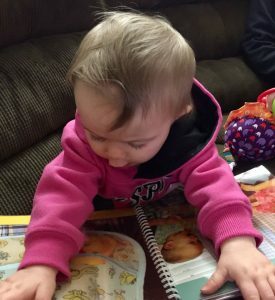 My younger granddaughter went to it immediately and turned each page through the whole book, carefully studying each picture. She re-visited the book and “read” it three more times that day. I’m not sure exactly what interested her so, but it might have been the colorful, edge-to-edge pictures on the pages. Or, it might have been the darling face of the little girl in the book or the fact that she, herself, has blond hair. Of course, she does all the home activities portrayed in the book. Her mother takes her regularly to the library, and to the farmer’s market, and they have a vegetable garden in the backyard of their home. So, maybe she recognizes the aspects of her own life as a little girl. Whatever it is, it compels her to seek out your book! I was particularly impressed with the book’s physical construction. Our young one could easily turn the laminated pages without tearing them or fraying the edges, and the covered spiral binding allowed the book to lay open as long as she wished it to be so. Brilliant design! 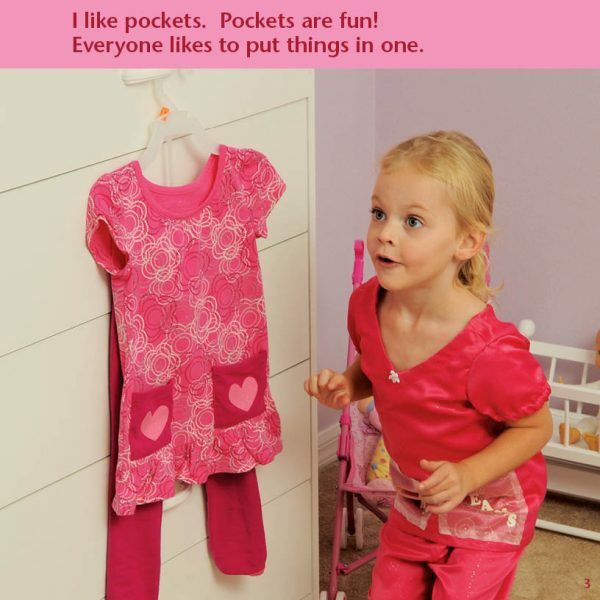 As a parent, the “pockets” theme struck a chord with me. I always hoped that my children would entrust God with their thoughts, whether they were prayers of worry, thanks, or requests. Also, I wanted them to have dreams of future endeavors, and of joys past, to lull them into restful, bedtime sleep. “Prayers and Dreams” sums up our hopes for each child; so simple a phrase, and yet so touchingly accurate. Thank you for that lovely definition of parenting goals. 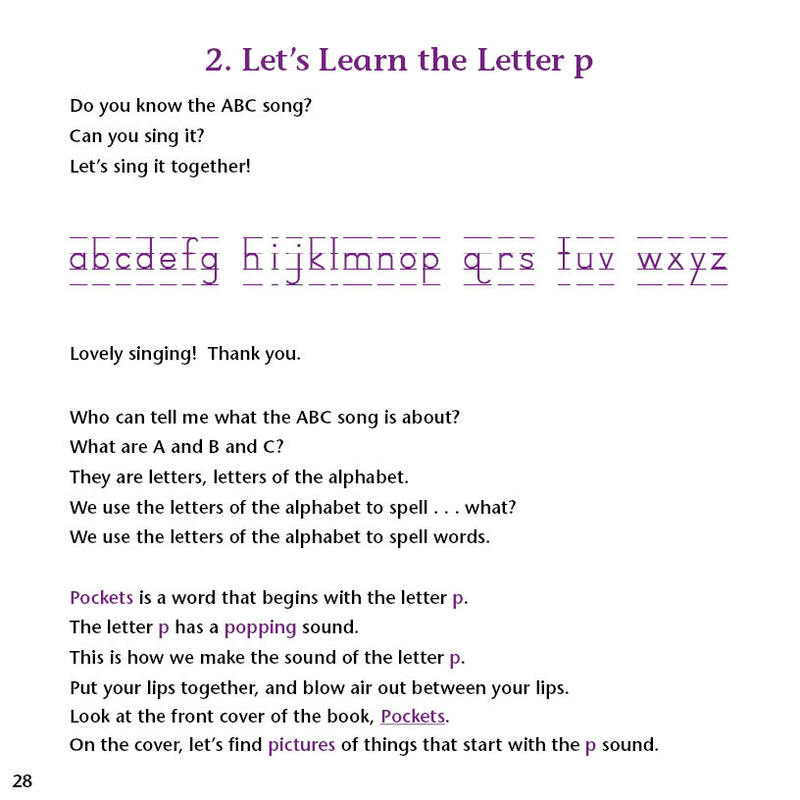 The activities certainly look fun and are clever usages featuring the letter “P.” Perfection. 🙂 Your book is a definite “keeper.” Thank you so much for writing it, and for sharing it with us. Since I last wrote to you, I have had the opportunity to take your book to my other two families. Even though the older children sat quite engaged while I read the book to them, it was consistently the younger children who independently went back to the book and “read” through it again and again. Isn’t that remarkable? My oldest granddaughter, who turned 5 in April, wanted us to do the activities on the pages following the story. I thought that was interesting. She goes to pre-school and starts kindergarten in the fall so perhaps that’s why she wanted to learn more from the book than just the story. Thank you for including those activities…good thinking! Great book with exceptional photos! The kids LOVE it! You will keep going back to Pockets! 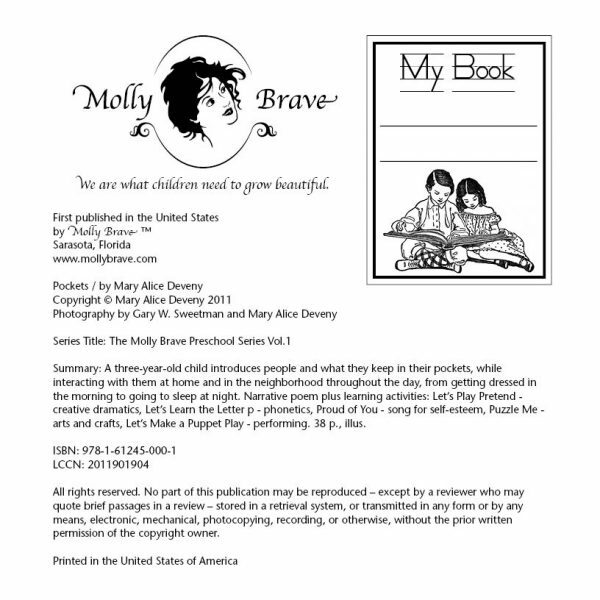 This children’s book is a creative jewel. Pockets is a thoughtfully written and instructive teaching tool that is beautifully presented. I was impressed with the learning activities that are not only fun but thought provoking. These are the kind of exercises that promote developmental reasoning in a young mind. I hope this author continues to produce more preschool books like this one.